Congressman Brendan Boyle, a member of the Commission on Security and Cooperation in Europe on Capitol Hill, described Anne Cadwallader’s evidence of collusion as “overwhelming”. There has been “dishonourable silence” from the British government on evidence of deep collusion between the Northern Ireland security forces and Loyalist paramilitaries during the Troubles revealed in an investigative book, its author has told a US congressional panel. Anne Cadwallader, a former journalist and researcher with human rights group, the Pat Finucane Centre, testified before the Commission on Security and Cooperation in Europe on Capitol Hill, discussing the findings in her 2013 book, Lethal Allies: British Collusion in Ireland. The book covers the murders of more than 120 people from 1972 to 1978 in counties Tyrone, Armagh and Monaghan, providing evidence that Loyalists killers were helped by members of the Royal Ulster Constabulary and the Ulster Defence Regiment. The murders were linked to the Glennane Gang in Tyrone and Mid-Ulster, a region that became known as the “Murder Triangle” during the 1970s because of the number of murders carried out on Catholics. Ms Cadwallader testified before the committee, also known as the Helsinki Commission, about a bomb attack on the Step Inn bar in Keady, Co Armagh in August 1976 that killed two Catholics, mother of three Elizabeth McDonald (38) and Gerard McGleenan (22). She told the committee that a paper trail has been found showing that the bomb was made, transported and detonated with the active involvement of members of the RUC, the police and the British Army. There has been “deafening silence” from the London government since her book was published, she said. “It is, in my view, a most shabby, unworthy and dishonourable silence. The guilty silence of a disgraced establishment that hasn’t the courage to face the truth,” she said. Ms Cadwallader appeared with Geraldine Finucane, widow of solicitor Pat Finucane who was murdered by Loyalists in 1989, and Kieran McEvoy, a law professor at Queen’s University Belfast. The Pat Finucane Centre wants the British government to release all records showing collusion between the security forces and Loyalists and a public inquiry to be held into Mr Finucane’s killing. The committee’s chairman, Congressman Chris Smith, remarked that the British government’s reputation had been tarnished by the refusal to hold a public inquiry into Mr Finucane’s murder and his committee was “not gonna let up” until all the information about the killing is “laid bare” and the people responsible are held to account. “It is bewildering how a mature democracy like the United Kingdom could be so obstinate in not letting this information out,” said Mr Smith, who was chairing his 15th hearing since 1997 on human rights in Northern Ireland, nine of which involved members of the Finucane family providing testimony. 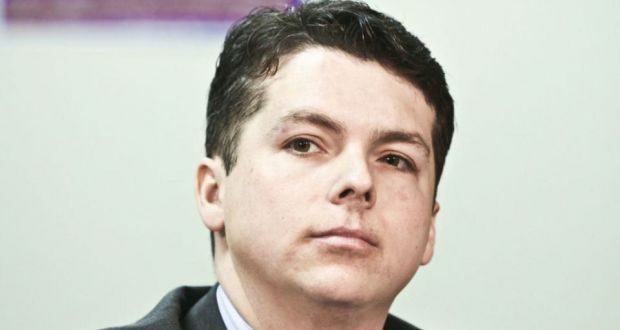 Congressman Brendan Boyle, a member of the commission, described Ms Cadwallader’s evidence of collusion as “overwhelming”. “It’s time for Britain to finally deal openly and honestly with this issue and release all of the evidence,” he said.